Alberta is known for many things: Rocky Mountains, flat prairies, and one of the world’s largest sites of unconventional oil extraction, the oilsands or tarsands. For the past decade, this project has examined how Alberta offers a microcosm of what some scholars term the “transit of empire.” That is, the circulation of ideas and policies about globalization, colonialism, economics, and technology that aren’t endogenous to a place, but nevertheless actively shape it. In Alberta, these types of transits shape place; from its large irrigation economy in the south and policies designed to encourage western settlers to take up farming, to a burgeoning energy sector in the north that requires large water inputs in very different enviroments. 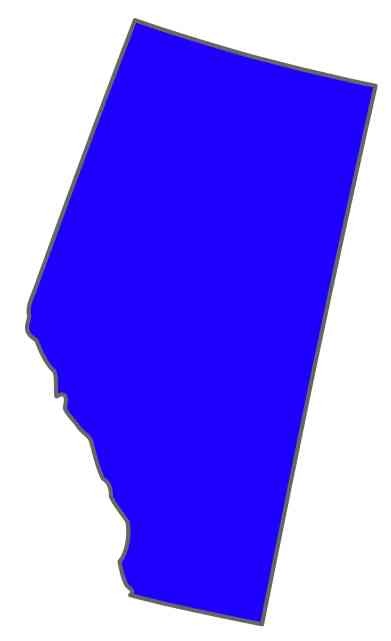 Over time, Alberta has incorporated many global ideas (often with a certain kind of gusto) in ways that attempt to keep state claims to legitimacy separate from the fact that state-building entails dispossession of Indigenous peoples, both First Nations and Métis. This project uses archival work, policy analysis, and field research to examine how water, land, and energy have been configured in Alberta through a global transit of ideas and practices. It focuses on how the political economy of modern liberalism and settler-colonialism together affect: (1) the emergence of public space through the creation and practice of new concepts of territory, (2) the evolution of public governance propositions that use ‘natural resources’ to form a narrative of the state as sovereign and self-constituted, and (3) the embedding of environmental governance more broadly in participatory governance formats structured in reference to (1) & (2). Several articles from this work are freely available (see below). They cover the Alberta case from various angles. In addition to these literature specific articles, I’m planning a new monograph on water, land, and energy in Alberta. Water policy in Alberta: settler-colonialism, community, and captial [PDF Download]. Journal of the Southwest, 2017. False promises: the contours, contexts and contestation of good water governance in Lao PDR and Alberta, Canada [PDF Download] International Journal of Water Governance, 2014. Alternative water futures [PDF DOWNLOAD] . The Parkland Institute, 2011.